SANTIAGO, Jan 9 2018 (IPS) - A 75 percent drop in electricity rates, thanks to a quadrupled clean generation capacity, is one of the legacies to be left in Chile by the administration of Michelle Bachelet, who steps down on Mar. 11. In December 2013, the electricity supply tender for families, companies and small businesses was awarded at a price of 128 dollars per megawatt hour, compared to just 32.5 dollars in the last tender of 2017. “An important regulatory change was carried out with the passage of seven laws on energy that gave a greater and more active role to the State as a planner. This generated the conditions for more competition in the market,” Energy Minister Andrés Rebolledo told IPS. Four years ago, large companies were concerned over the rise in electricity rates in Chile, and several mining companies stated that due to the high price of energy they were considering moving their operations to other countries. Currently, big industrialists have access to lower prices because they renegotiate their contracts with the generating companies. The new regulatory framework changed things and allowed many actors, Chilean or foreign, to enter the industry, thanks to bidding rules that gave more room to bids for generating electricity from non-conventional renewable energies (NCRE), mainly photovoltaic and wind, the most efficient sources in the country. “This happened at a time when a very important technological shift regarding these very technologies was happening in the world. We carried out this change at the right time and we took advantage of the significant decline in cost of these technologies, especially in the case of solar and wind energy,” the minister said. Eighty companies submitted to the tender for electricity supply and distribution in 2016, and 15 submitted to the next distribution tender, “in a phenomenon very different from what was typical in the Chilean energy sector, which was very concentrated, with only a few players,” he added. “Globally, solar and wind energy are much more competitive than even fossil fuels. Today solar energy is being produced at a lower cost than even coal. That has led to the creation of a new scenario, thanks to this new regulation policy,” he added. 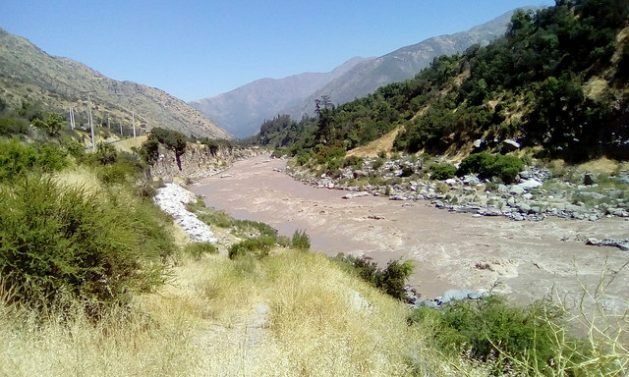 Marcela Mella, spokesperson for the environmental group No al Alto Maipo, told IPS that they have various strategies to continue opposing the construction of the hydroelectric project of that name, promoted by the US company AES Gener on the river that supplies water to Santiago. The project would involve the construction of 67 km of tunnels to bring water to two power plants, Alfalfal II and Las Lajas, with a capacity to generate 531 megawatts. Started in 2007, it is now paralysed due to financial and construction problems. But in November the company anticipated that in March it would resume the work after solving these problems. "The project puts at risk Santiago's reliable drinking water supply. 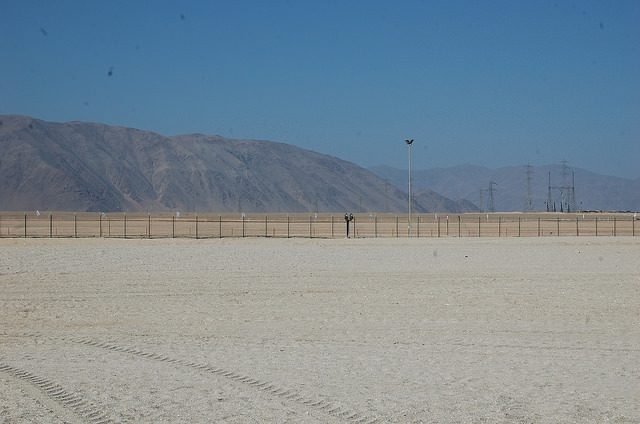 This was demonstrated when construction began and heavy downpours, which have been natural phenomena in the Andes mountain range, dragged all the material that had been removed and left four million people without water in Santiago," said Mella. He added that Alto Maipo will also cause problems in terms of irrigation water for farmers in the Maipo Valley, who own 120,000 hectares. “In the past four years, the government enjoyed a fairly free situation to develop projects (of those energy sources) that some have qualms about from an environmental perspective,” he said. “It is not a process that any future government can stop. It is a global process into which Chile has already entered and is being rewarded for that choice. There is no longer a possibility of returning to fossil fuels, as is happening in the United States where there is an authoritarian government like that of Donald Trump,” Baquedano added. The energy sector was a leader in investments in the last two years in Chile, surpassing mining, the pillar of the local economy. In May 2014, just two months after starting her second term, after governing the country between 2006 and 2010, Bachelet – a socialist – launched the “Energy Agenda, a challenge for the entire country, progress for all“. “According to the projections, from here to 2021 there is a portfolio of projects totaling 11 billion dollars in different tenders on energy, generation and electricity transmission. The interesting thing is that 80 percent are NCRE projects,” he said. Currently there are 40 electrical projects under construction, almost all of them involving NCRE. Another result is that Chile now has a surplus in electricity and the large increase in solar power is expected to continue as the country takes advantage of the enormous possibilities presented by the north, which includes the Atacama desert, with its merciless sun. Chile’s power grid, previously dependent on oil, coal and large hydroelectric dams, changed radically, which led to a drop of around 20 percent in fossil fuel imports between 2016 and 2017. In addition, it no longer depends on Argentine gas, which plunged the country into crisis when supply was abruptly cut off in 2007. “In March 2014, when Bachelet’s term began, the installed capacity in Chile of NCRE, mainly solar and wind, was five percent. This changed significantly, and by November of this year it had reached 19 percent,” said Rebolledo. In the Energy Agenda, as in the nationally determined contribution (NDC), the commitment assumed under the Paris Agreement on climate change, Chile set goal for 20 percent of its energy to come from NCRE by 2025 – a target that the country already reached in October. “We have set ourselves the goal that by 2050, 70 percent of all electricity generated will be renewable, and this no longer includes only the NCRE but also hydro,” Rebolledo said. For the minister, a key aspect was that these goals were agreed by all the actors in the sector. “Because this change happened so rapidly, that 70 percent could be 90 percent by 2050, and within that 90 percent, solar energy will probably be the most important,” he said. “”Democratisation means that we are going to demand that all NCRE projects have environmental impact studies and not just declarations (of environmental impact),” he said. “Democratisation means that every person who has resources or who can acquire them, becomes a generator of energy for their own consumption and that of their neighbours. Let new actors come in, but also citizens. These new actors are the indigenous communities, the community sector and the municipalities, which are not after profits,” he asserted.